Since 1964 and 1/2, the Ford Mustang has long been an icon of American design and engineering. Of course with any model there are years in which we’d prefer to forget. For me, that was a significant gap after 1971. 2015 is a new era for the Pony car with modern styling, upgraded interior and better performance than ever before. This car was worth the wait. This mustang is equipped with a 5.0L V8 producing 435 HP @6500 RPM and 400 lb-ft of torque @4250 RPM mated to a 6-speed manual transmission. The 5.0 is one serious motor with gobs of power and instant torque. 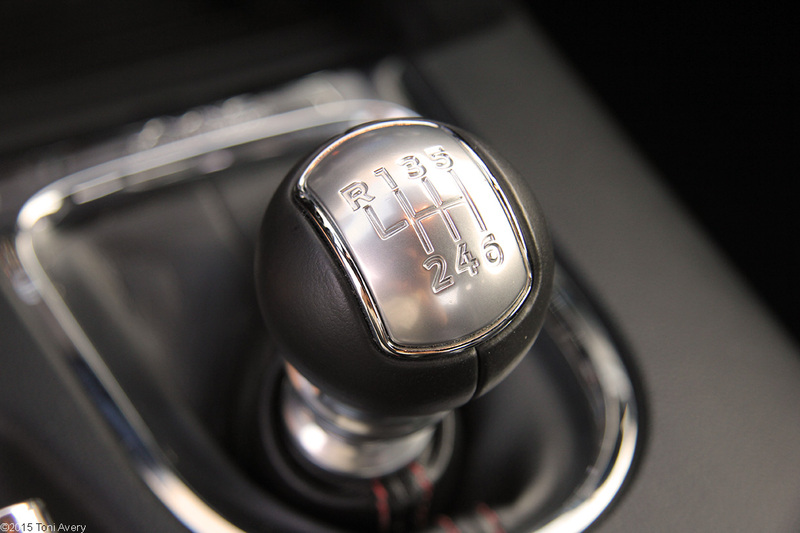 You’ll find that the car is a lot easier to control at higher speeds than in stop and go city traffic. I found myself taking longer routes just to find a bit of unrestricted road to explore the cars limits. 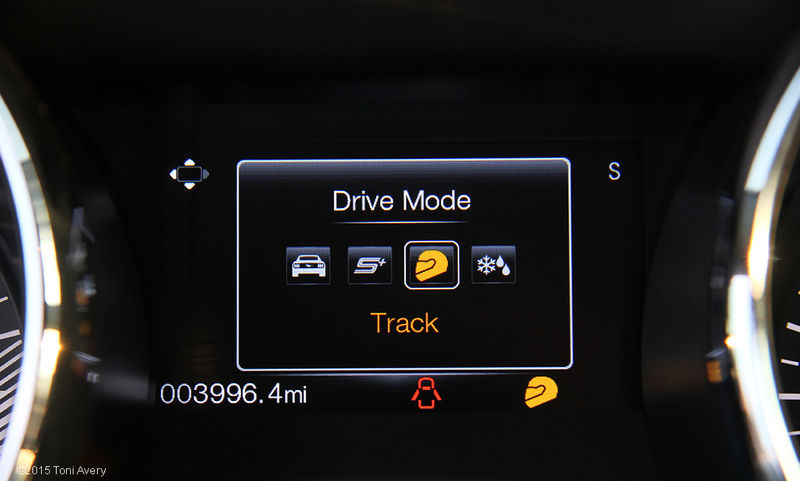 Drive modes include Normal, Sport+, Track and Wet Weather. I used Normal and Sport+ most during my time with the car. Normal mode offers the best balance of a comfortable and controlled ride as well as confident handling. Sport+ is where the real fun happens. This mode provides a sportier steering feel and throttle response making it perfect for canyon driving. The difference between Normal and Sport+ is almost night and day. Turn this mode on after a bad day and you’ll forget all your worries. 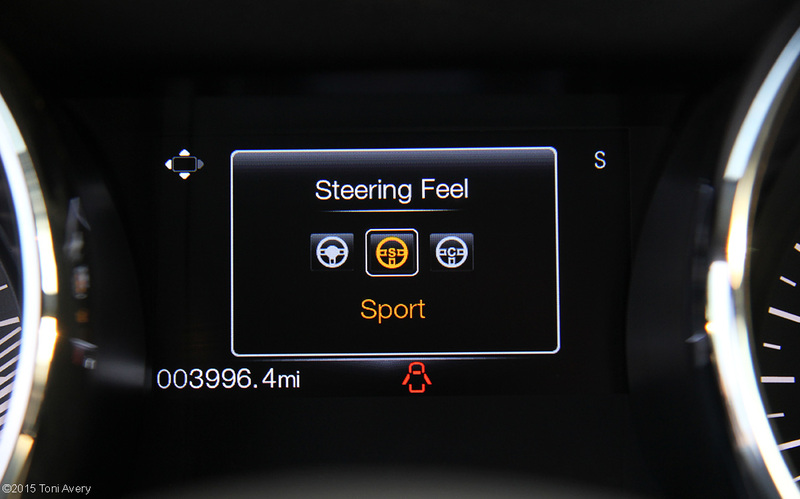 Steering modes include Normal, Sport and Comfort. I used Normal and Sport most when driving the Mustang. Normal is just the default factory setting, while sport, especially when paired with the Sport+ driving mode, offers a more direct feel while comfort mode requires much less effort to operate the wheel. The Adaptive Cruise Control system worked well on my long trip out to the desert. Not only is the car a blast on the canyon but it’s also comfortable on a long drive. One of the most impressive performance aspects of this car are the brakes. Included in the Performance Package are 6-piston front Brembo brake calipers that provide extreme stopping power. Hoping into a GT with the Performance Pack for the first time will take some getting used to simply due to the brakes aggressive nature. 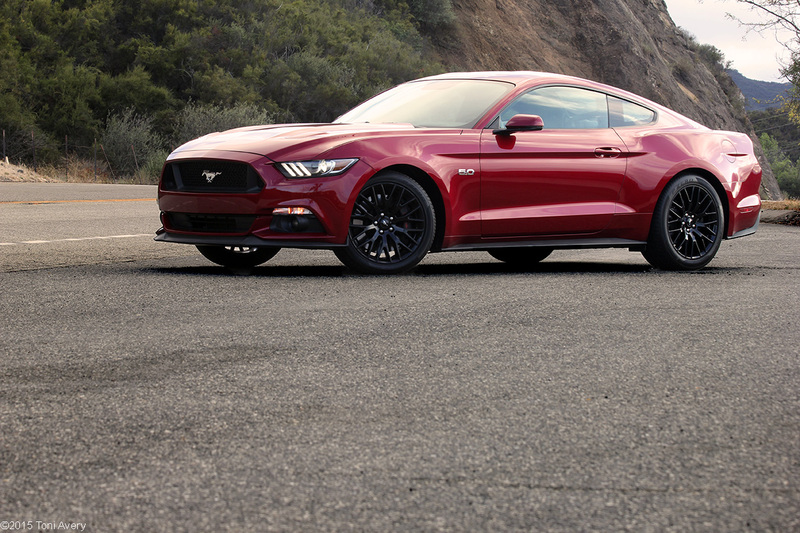 The exterior of this Mustang is finished in Ruby Red paint (optional color) featuring 19” black aluminum wheels (standard in the Performance Package) and Rear Spoiler delete (standard in the Performance Package). The Coupe is the best all around looking Mustang. Its profile is sleek and muscular. The line from windshield back to the rear tail lights gives the illusion of this Pony going fast while standing still. The biggest differences between the convertible EcoBoost and this GT on the outside are the hood vents, front grille accents, 5.0 badge by the front wheels, the GT badge replacing the Pony at the rear and the Performance Package specific wheels. The 19” black aluminum wheels offer an even more aggressive look for any paint color. Esthetically, the Performance Package wheels appearance are worth checking that option box. Inside this Mustang are black leather Recaro seats (stand alone option), red stitching (stand alone option), Voice Activated Navigation (stand alone option) and Shaker Premium Audio (part of equipment group 401A). Very similar to the inside of the EcoBoost, this GT does separate itself slightly. 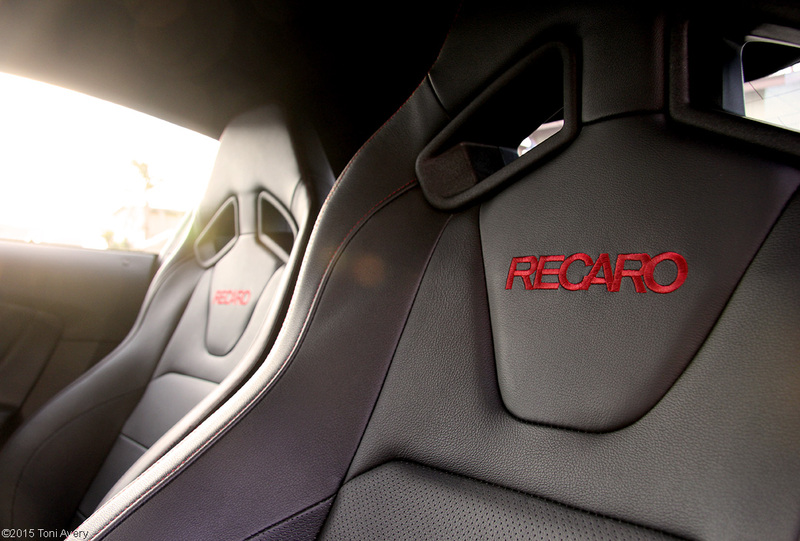 The Recaro seats are the best interior option you can buy offering both comfort and the right amount of side bolstering to hold you snug while cornering the GT. Throughout the inside is red stitching, which adds a bit of color. New to 2016 model cars is the option of Yellow Jacket stitching. As much as I like the interior it would be an additional added bonus if when selecting the Recaros, there could be a few color options for Alcantara inserts. This would brighten things up a bit. The rear seats are some of the most comfortable I’ve tried with enough room for average size passengers. The trunk also offers more than enough space for luggage or just your standard haul from the grocery store. The metal trim dash really modernizes the interior. 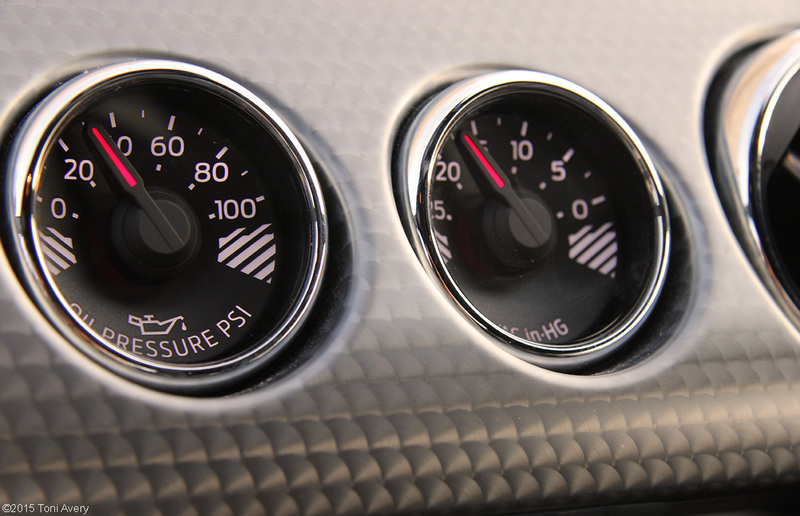 In the center of the dash are two more GT Performance Package specific features, an Oil Pressure gauge and a Vacuum gauge. Luckily for the 2016 model year cars, the navigation and infotainment units will be completely updated. The system it now features works well enough but it has its quirks, such as the lack of quick screen changes and even confusion when trying to find simple menu selections. Aside from the Recaro seats, my favorite feature inside the GT was the Shaker Premium Audio System with 12 speakers. The sound quality is up there with some of the best I’ve listened to. It sounds crisp and clean like you’re in the recording booth with your favorite band. 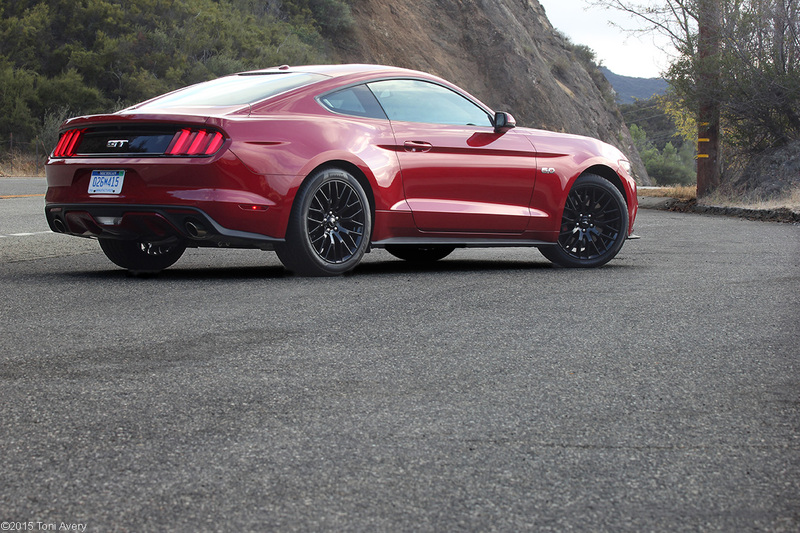 2015 is the start of a new era for the Ford Mustang. One of the biggest changes to hit this Pony car is the IRS system as well as a completely new and modern look. 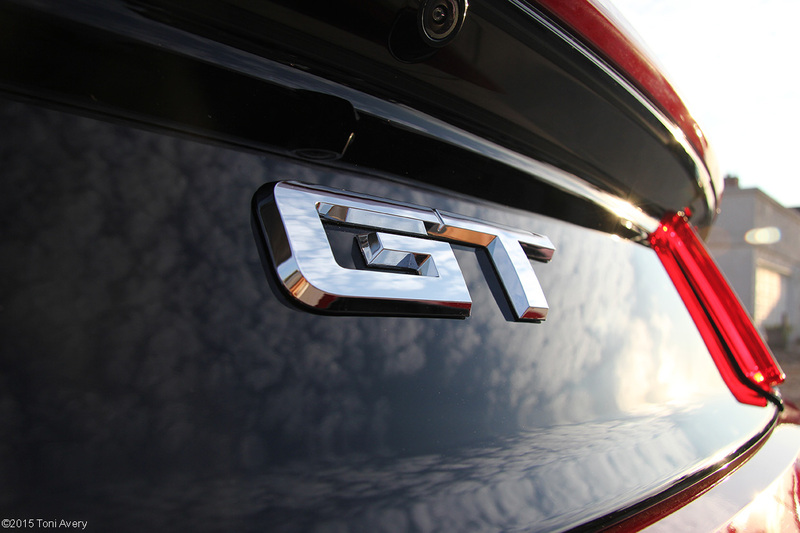 The Ecoboost and GT are two extremely capable cars that offer enthusiasts plenty of choice and fun. If I had a large budget to spend I’d automatically opt for the GT with a Performance Package but that’s not to say that the EcoBoost isn’t a great car. If I had a fun weekend car, the Ecoboost would be my first choice as my daily driver but if money only allowed for one car the GT would be the obvious choice. You truly can’t go wrong with either car.